Want Some Help? Contact us! Few things put a site owner or an SEO on edge more than the appearance of a Google penalty. In recent years there has been a regular rollout of major algorithm updates and changes. With the Panda update in 2011, Penguin in 2012, and Hummingbird in 2013, and almost constant smaller updates and data refreshes, it's difficult to keep up with them all. Future updates are going to be just as stressful for those who aren't following these trends, cutting corners with their link-building, and not keeping on top of their link profile by being aware who links to them. We wanted to make an in-depth guide to Google penalties, what they are, how to avoid them, how to protect yourself from all future changes and mostly how to rectify the situation if your site is penalised. You want to get your rankings back? Follow our advice and you will. You might be a business owner with an online store, an employee working in the internet marketing department of a FTSE 100, or a freelance SEO whose client has just been hit. Whatever your reason for being here, it's likely that you have a big problem to solve. Sales used to be arriving through the search engines, and maybe that revenue source has completely dried up. It's a scary situation to be in, but all is not lost. There is always something to be done, and no domain is ever completely burnt. Any site can clean up its act, and when it does, it will generally be in a much better position than one that's brand new. If you haven't been hit yet by a Google penalty, you're lucky to have found this while you have! Bookmark it, downloaded, print it out, internalise the information contained in this guide and use it to protect your business (or your job!) for many years to come. 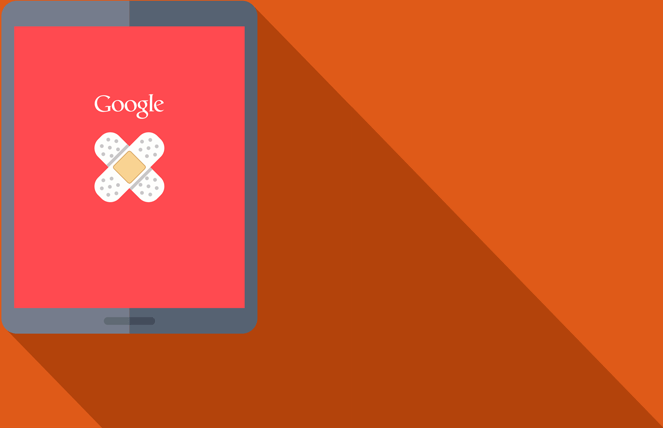 If you know nothing about SEO or Google's misleadingly-fluffily named updates, don't worry. By the end of this guide you’ll know more about recovering from a penalty than the guy you considered hiring to do it for you. We're going to walk you through every little step, from identifying the penalty, to figuring out where it came from, from discovering the root cause, to fixing the problem, and finally, to recovering your much needed search engine rankings. You might only need one chapter. It's a reference guide, not a novel, so read through the descriptions below and navigate to the one you need. In the first chapter, we'll illuminate the dingy world of Google penalties, and show you the fastest ways to see where you stand with the world's biggest search engine. You'll learn how to identify which type of penalty you've received, and exactly how extensive the damage is, which makes a big difference in how you should proceed. In the second chapter, we'll show you each and every possible reason for a Google penalty, starting with the most likely and highlighting the quickest results. You'll discover what the different updates actually meant for your site, what they didn't mean, and what you really need to be paying attention to. In this chapter, you'll learn how to gather your link data quickly and cheaply. This is the all important first step in the process of revoking your site's penalty. There are a plethora of tools we can use, and we break down the best ones for the job, and how to use them to get a full panoramic view of your site's current situation. In chapter four, we see that analysing your data can be the most interesting part of this process. If you understand what you're doing, and know which tools are best for the job, you can breeze through the relevant metrics, pull the right numbers together, and see what they all mean. We'll also cover how crucial your records of this stage are when getting a manual penalty revoked. Chapter five is where we do the work of removing all the signals that tipped Google off to shady activity in the first place. We'll see how to make sure the links pointing to your site are squeaky clean, and how to make content that is excellent for visitors. While some will say that a good link is one you didn’t encourage, and good content is, well, just good content, we'll take the time to see what Google is actually looking for, quantify it, and use it to our advantage. In chapter six we'll get into the heads of the Google employees who will be reading your reinclusion request and making the decision as to whether or not you will be allowed back into their index. There’s a right way and a wrong way to do everything, and when a denial can put your progress back by months, we're going to take every measure to ensure this is done the right way. Finally, in chapter seven you'll learn what to expect from the reconsideration process, how long rankings usually take to resurface, why they might not for some time, what to do about it. You want your rankings back quickly, and while removing a penalty lifts the cap on what rankings you can achieve, the process of clean-up and removal can leave your SEO a little worse for wear. We'll show you how to rectify that and lead you into the promised land of sustainable page 1 rankings.